2. 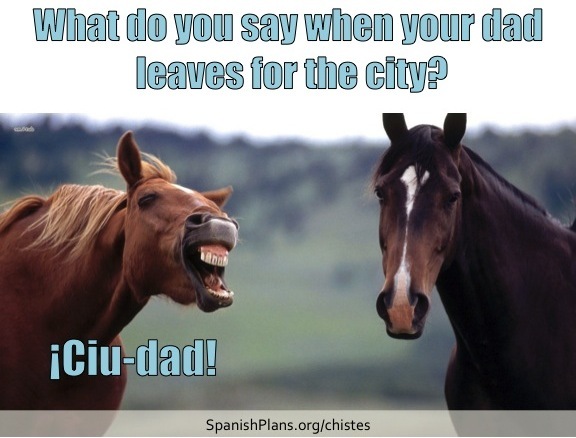 Practice the word for city with this Spanglish joke. 3. 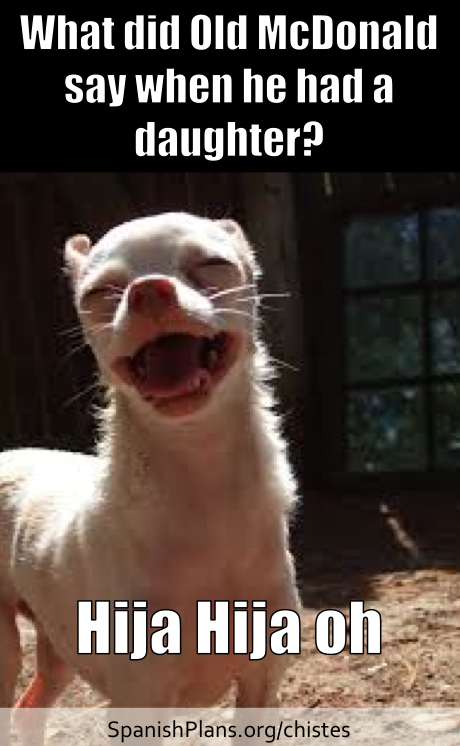 Old McDonald had a daughter, Hija, Hija, Oh! 4. You’ll “see” what we did with this joke! 6. 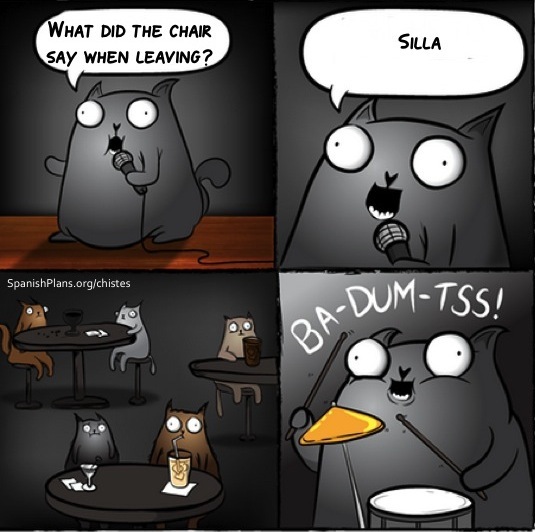 Practice the word sillón with this terrible joke. 7. 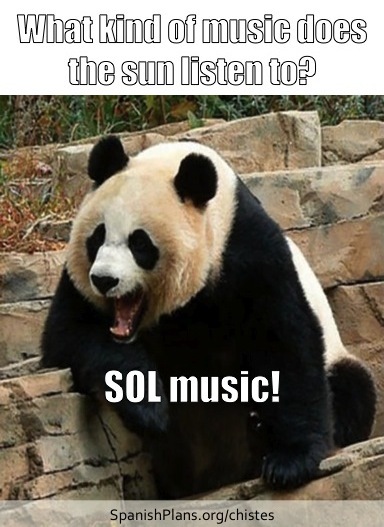 This joke about the sun is so bad, it hurts. 8. 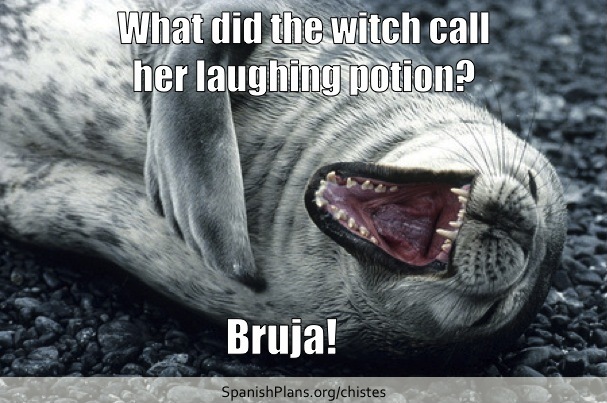 This joke is sure to create a brouhaha. 9. 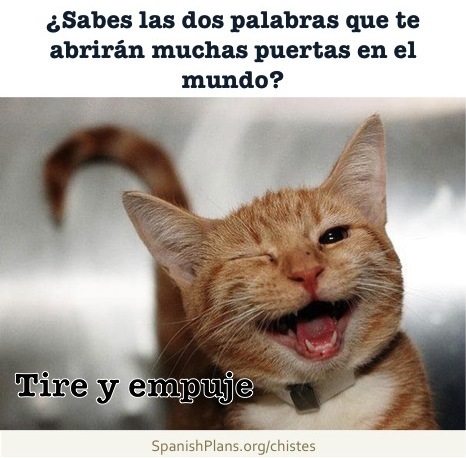 This is a joke any student learning Spanish can enjoy. Or shake their head at. 10. 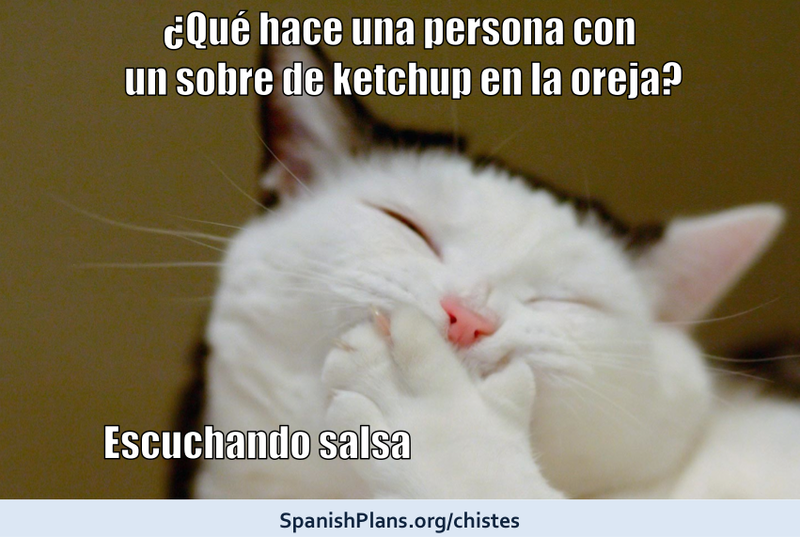 You’ll want to put ketchup in your ears to not hear any more terrible jokes. 11. 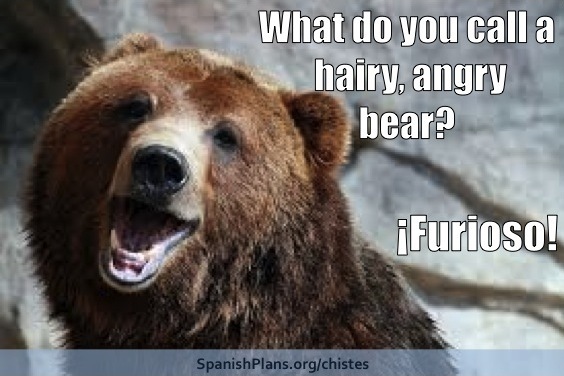 This is actually my favorite Spanish joke. 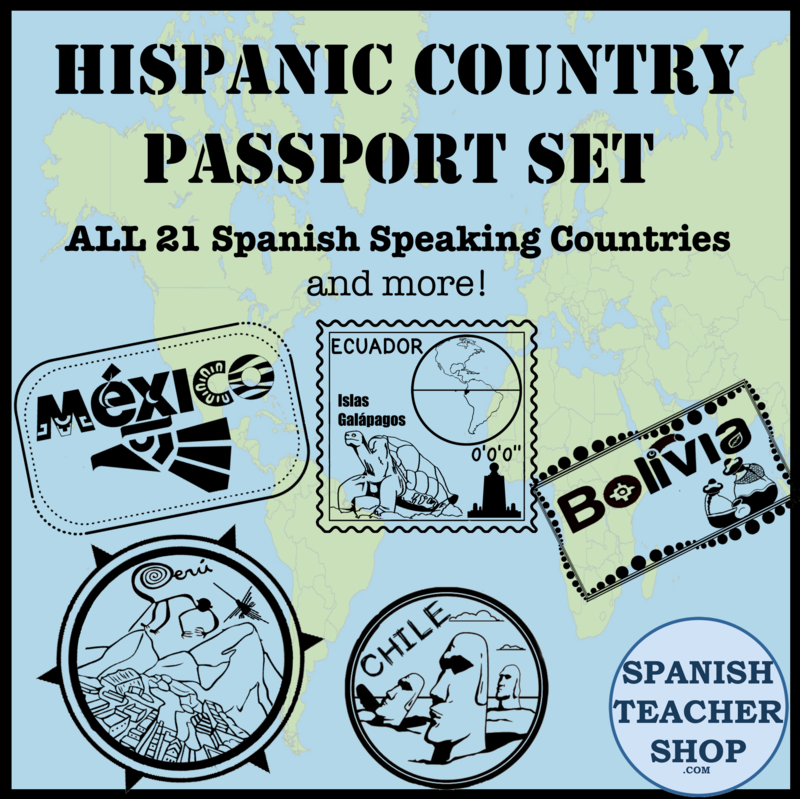 Download them all and use them for a Joke of the Week or make a bulletin board. 12. 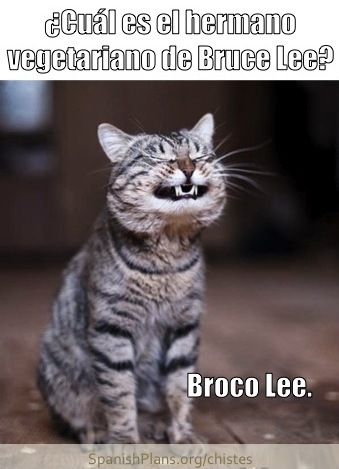 Oh man, only a cat could tell this joke. 13. I actually feel really sorry for this pig. At least he isn’t blue. 14. 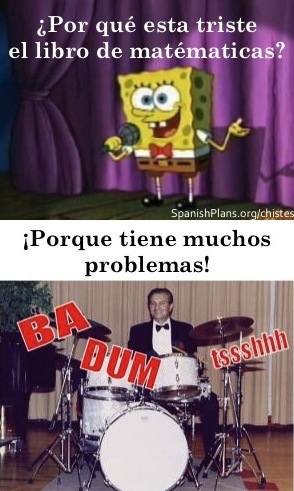 What Spanish joke set would be complete without the classic joke about the math book? 15. I bet you didn’t see this one coming though! 16. 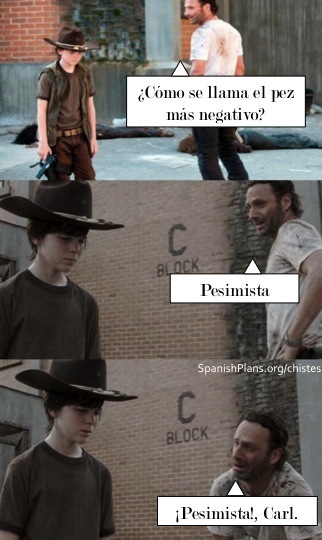 Cual es mayor: la luna o el sol? 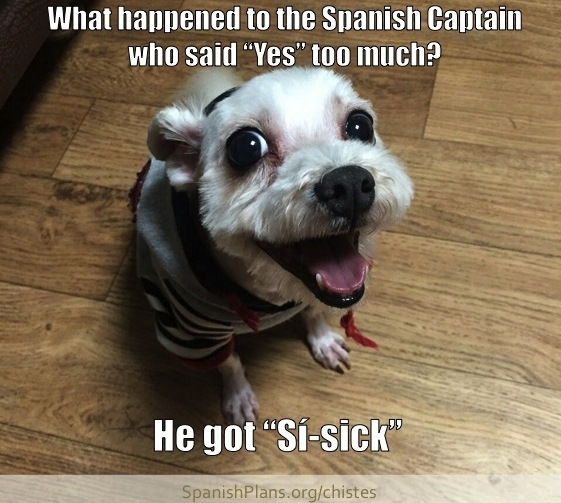 They are both too old for this awful Spanish joke. 17. I’m so positive you’ll hate this joke. 18. 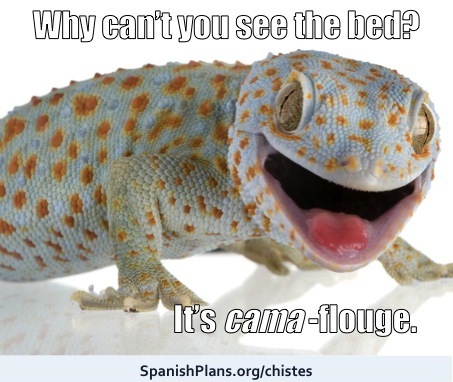 And the two words that you won’t associate with this joke: ja, ja. 19. A joke about a superhero and possessive adjectives; what could be better? 20. 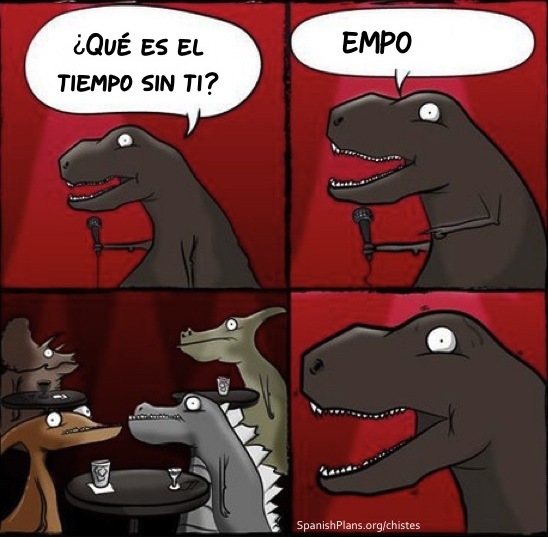 I think the dinosaurs went extinct because of how bad these jokes are. 21. 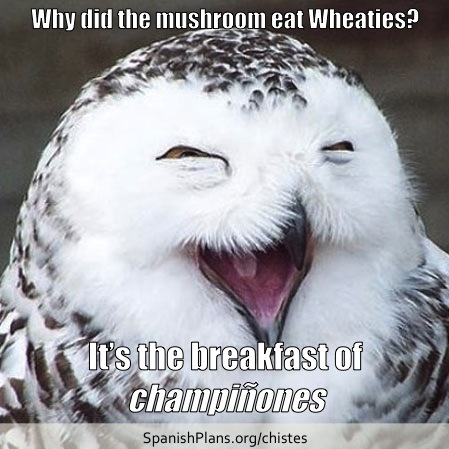 You can always count on us to tell you a bad joke. 22. This joke is a little-fishy. 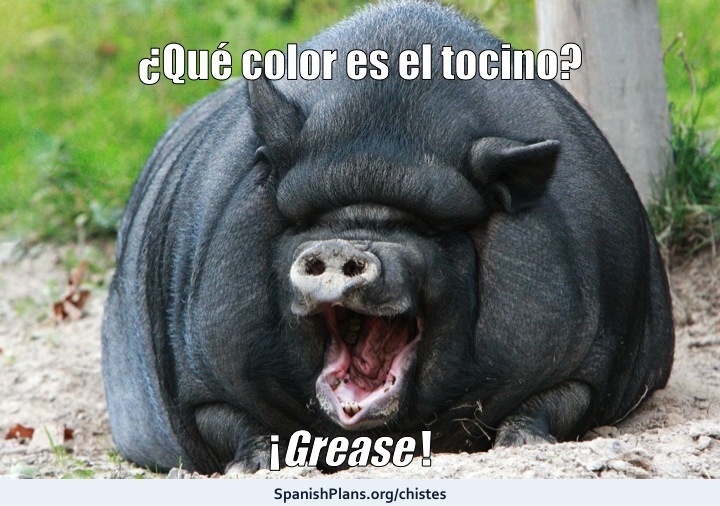 Check out our other chistes, chisfotos, and Spanish Memes.